Transition to Organics is raising funds to support Ojai’s school gardens, enabling school children to have healthy, organic food for lunch. We are working with Food For Thought Ojai, to support, educate and inspire school children and their families to make healthier food choices. 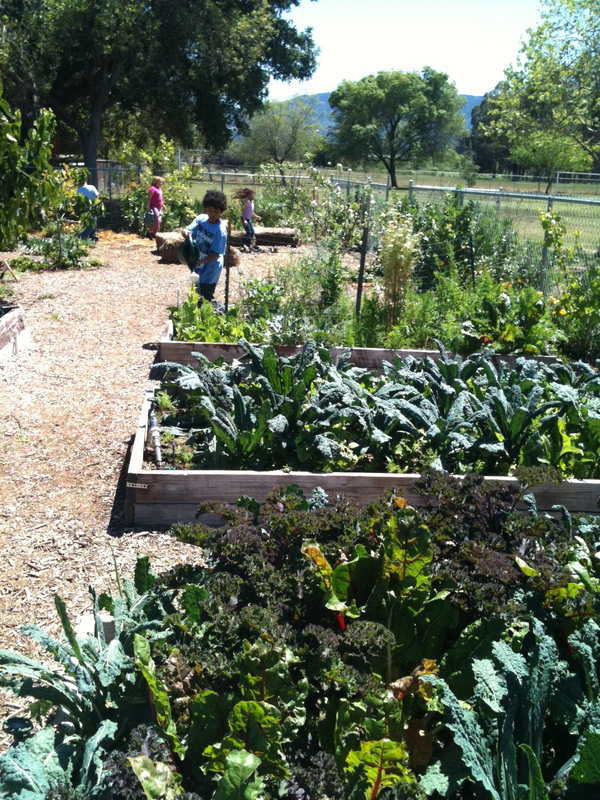 TTO contributed biodynamic compost to Food for Thought Ojai to use at Meiner’s Oaks’ School Garden. Many Thanks to Diane Ladd and the “Heaven Sent” program, part of the Art and Culture TaskForce, for their generous contribution to Transition to Organics’s School Gardens Project, making it possible for us to donate biodynamic compost to the school gardens. We deeply appreciate Diane’s commitment to help supply healthy food for the children in our community. TTO contributed compost to support the Nordhoff School Garden. We are continuing collaboration with Nordhoff Earth Allies (Student Organization at the High School) to involve students in our community projects. We are also planning a presentation at Nordhoff re: TTO’s Organic Ojai Mapping Project. We welcome schools and organizations who are seeking to collaborate on School Gardens Projects to contact Transition to Organics. Please make checks payable to: Blackbird Foundation, with a note: “for TTO”, and mail to Transition to Organics, 1129 Maricopa Hwy, #190, Ojai, CA 93023.